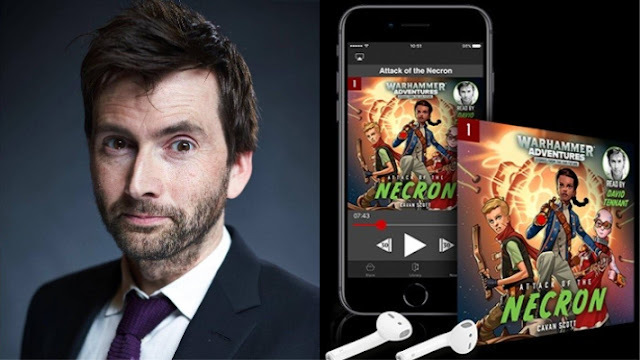 Doctor Who TEN YEAR ANNIVERSARY: A Look Back At Doctor Who, The Next Doctor Get The Best David Tennant And Doctor Who Fan Picks This Boxing Day With Our Exclusive Timey Wimey Deal Code! 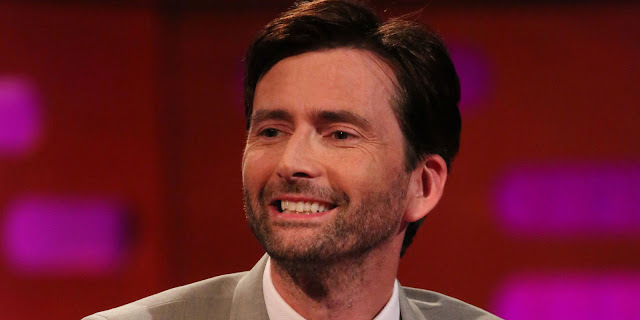 David Tennant is one of the contributors to a special episode of The Graham Norton Show which explores some of the best stories shared by guests on the programme. In Graham Norton's Good Story Guide, the award-winning host goes behind the scenes of the BBC One talk show to reveal the secrets of telling a good anecdote. 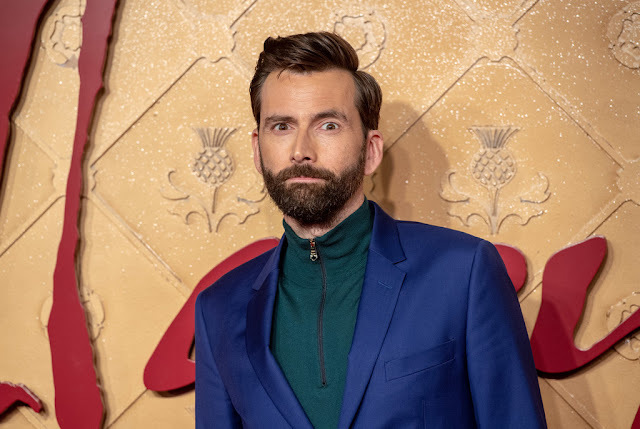 David is just one of the star guests who will be sharing a classic story; the line up also includes Robbie Williams, Dame Maggie Smith, Bill Bailey, Salma Hayek, Kate Beckinsale, will.i.am and Tom Hanks. Graham will also be seeking advice and insight from Rob Brydon and Miriam Margolyes on what makes a tale truly memorable. Watch Graham Norton's Good Story Guide on BBC One on Friday 4th January from 10.35pm. The programme will be repeated on Monday 7th from 11.30pm (11.55pm in Northern Ireland). Warped Galaxies: Attack of the Necron Set in the far future, Zelia Lor’s life changes when Necrons attack her home planet and rip it apart! Separated from her mother, Zelia must escape the doomed world, her only hope a scrambled transmission promising safety at a mysterious place known only as the Emperor’s Seat. She is joined by a rag-tag group of survivors – the street-tough Talen, gadget-obsessed Martian boy Mekki and super-intelligent alien-ape, Fleapit. UK: Pre-order the Audible download here USA: Pre-order the Audible download here A CD version will also be released in the USA on 19th February and can be pre-ordered here. 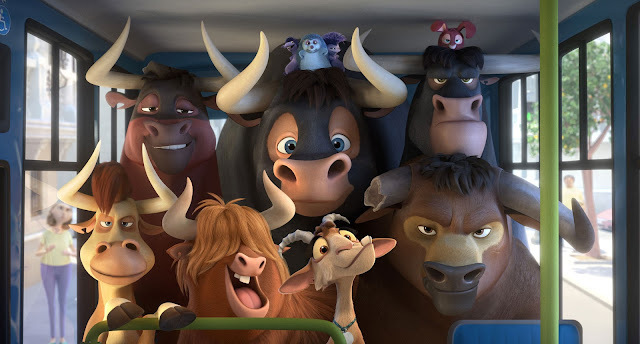 Family feature film Ferdinand is set to premiere on Sky Cinema and Now TV in the UK today. The Oscar nominated animation stars John Cena as the titular character, an oversized but gentle-hearted bull who prefers sniffing flowers to fighting, But when Ferdinand accidentally causes chaos in a village marketplace he is sent back to the ranch he was born at and begins training for a showdown with El Primero, Spain's greatest bullfighter who never loses. 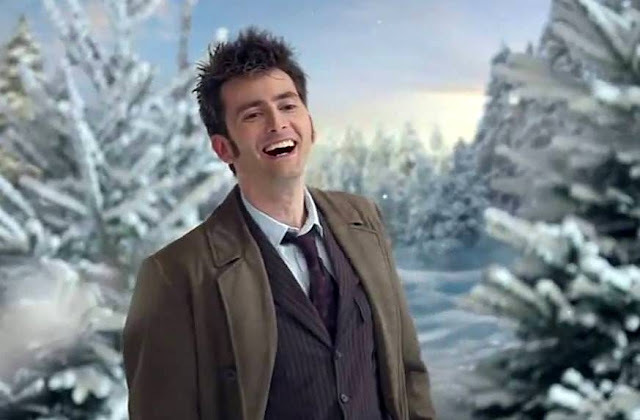 David Tennant co-stars as Angus, a Highland bull, with Kate McKinnon as wise old goat Lupe and Sally Phillips as Greta, a snooty Austrian horse. Ferdinand will premiere on Sky Cinema Premiere today at 10.30am, repeating at 2.50pm, 6.00pm and 8.00pm. 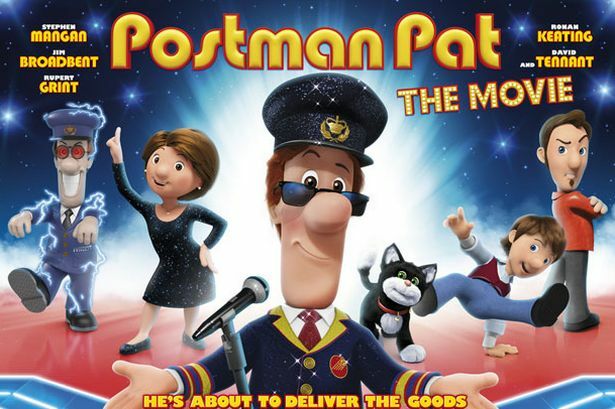 Ferdinand will be available to stream via Now TV from today also. 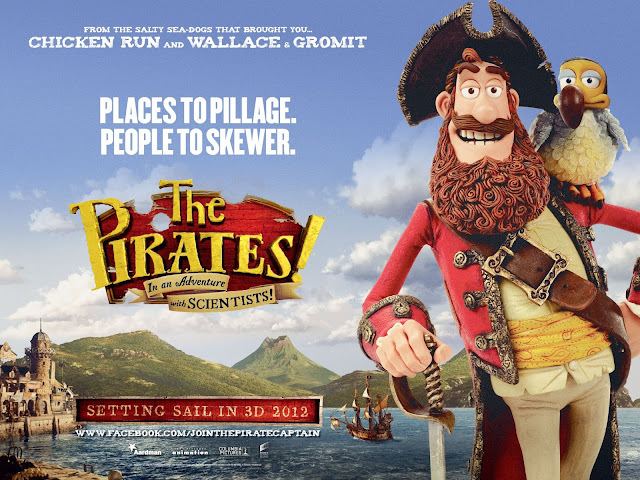 The 2012 Aardman animated movie, The Pirates! In An Adventure With Scientists is airing on BBC One this morning at 9.25am. Directed by British animation legend and Aardman co-founder Peter Lord and based on Gideon Defoe’s cult novel series, The Pirates! In An Adventure With Scientists is a delirious high-seas romp starring Hugh Grant as the luxuriantly bearded Pirate Captain, who navigates his salty crew on a perilous mission to Victorian London to aid a young Charles Darwin voiced by David Tennant. 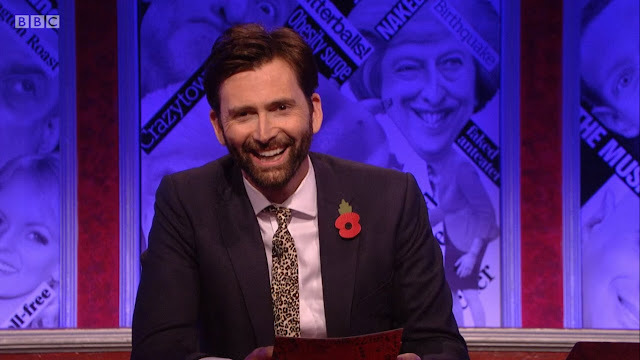 There's a special extended festive edition of Have I Got A Bit More News For You on BBC One tonight at 11.50pm. The BBC's long-running panel show which pokes fun at the biggest and strangest stories in the news returns with a compilation episode that looks back at the big news of 2018. 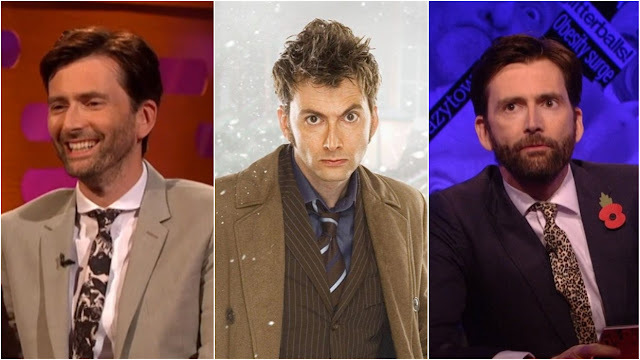 Team captains Paul Merton and Ian Hislop are joined by a variety of guest hosts including David Tennant, Danny Dyer and Gary Lineker. 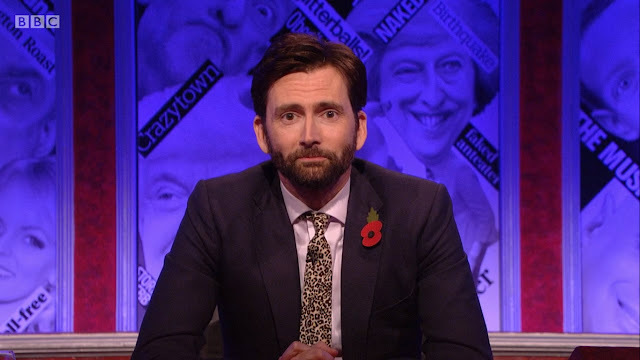 David most recently hosted the show in November this year. 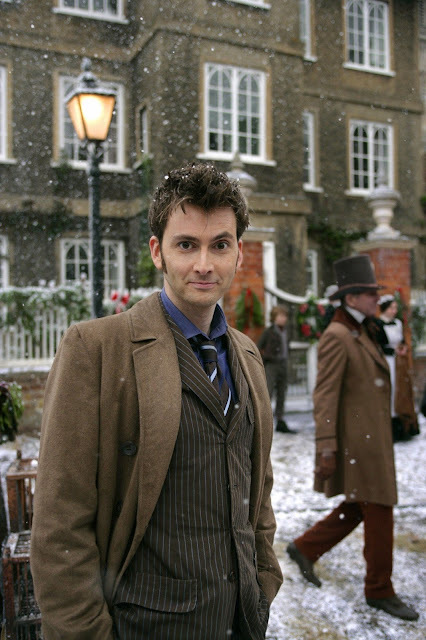 Ten years ago today the Doctor Who Christmas Special, The Next Doctor aired for the very first time on BBC One in the UK. Following on from the close of Journey's End, the Doctor is travelling alone once again. Donna is back with her family, all memories of her adventures with the Doctor erased, Rose is back in the parallel universe with the Tyler family and the metacrisis Doctor, while Martha, Mickey, Sarah-Jane and Jack have returned to lives on Earth. The Doctor travels back to Victorian London, and runs into some old adversaries in the form of the Cybermen - but this time he has help from what appears to be a future incarnation of himself. 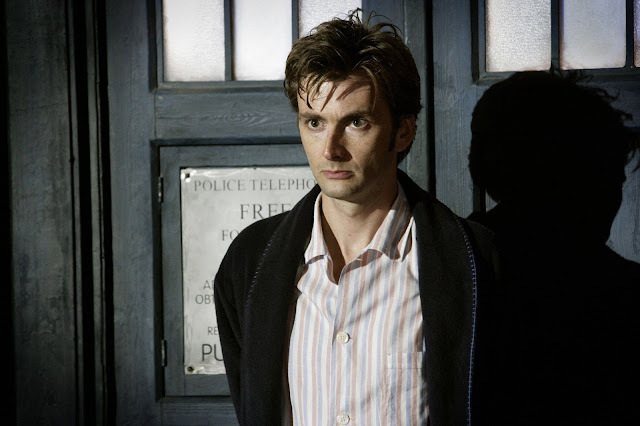 However, this new 'Doctor' isn't all that he seems and the Tenth Doctor soon uncovers a tragic tale. 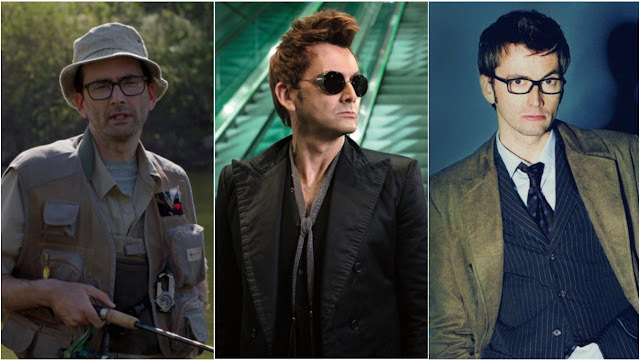 Filming for Good Omens, the the six-part TV adaptation of the comic apocalyptic novel by Neil Gaiman and Sir Terry Pratchett, wrapped in the Spring of 2018. David joined the cast and crew at NYCC in October to launch the trailer for the eagerly anticipated series, which will premiere on Amazon Prime in 2019. It is a co-production by the comedy team at BBC Studios, the BBC’s commercial production arm, Narrativia and The Blank Corporation, in association with BBC Worldwide for Amazon Prime Video and BBC Two. Find out more about Good Omens here. March 2018 saw the launch of Season 2 of Marvel's Jessica Jones. Amazon Prime have sent out a request to all the artists out there - they are looking for fan-created images to promote the much anticipated series Good Omens across their social media next year. Amazon have teamed up with US based art networking site Talenthouse to launch a search for original poster artwork to celebrate the release of the six-part comedy Good Omens on Amazon Prime early next year. 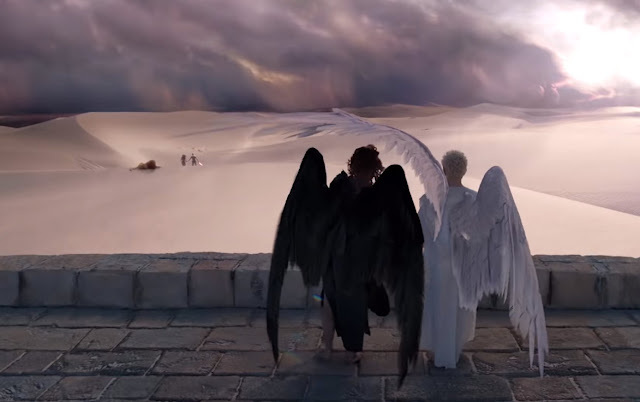 Illustrators, designers and graphic artists worldwide are encouraged to find inspiration in the unlikely pairing of angel and devil duo Aziraphale and Crowley and create art that can be used across Good Omens' key social channels and displayed at events. There's a special festive edition of Have I Got News For You on BBC One tonight at 9.00pm. The BBC's long-running panel show which pokes fun at the biggest and strangest stories in the news returns with a compilation edition that looks back at the big news of 2018. HBO's eight part comedy series Camping arrives in the UK next month, launching on Sky Atlantic and Now TV from January 31st 2019. 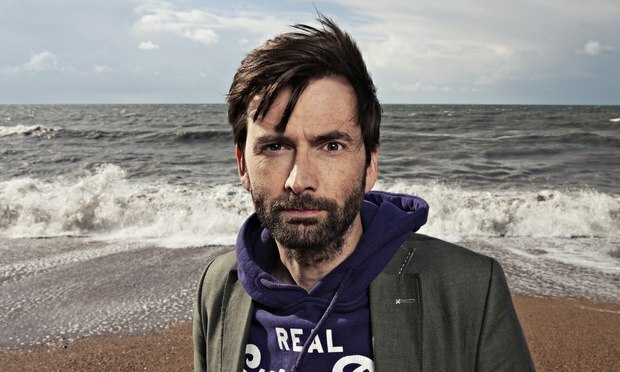 Based on the Julia Davis series of the same name, Camping was adapted by Girls showrunners Lena Dunham and Jenni Konner and stars David Tennant and Jennifer Garner as Walt and Kathryn, a married couple embarking on a weekend in the wilderness to celebrate a landmark birthday. 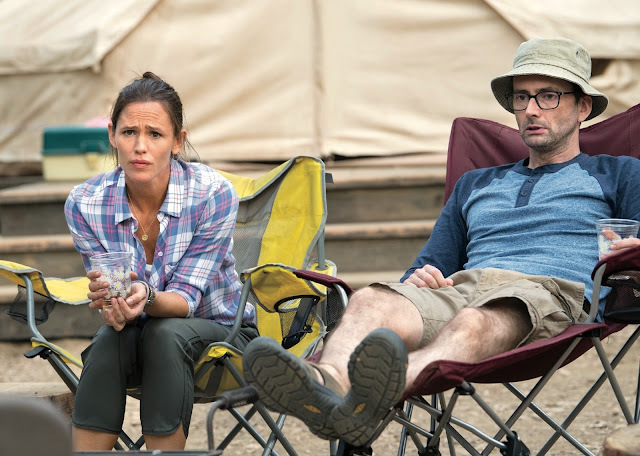 Camping stars Jennifer Garner and David Tennant as Kathryn and Walt, a not-so-happily married couple. A meticulously planned outdoor trip to celebrate Walt’s 45th birthday is derailed by uninvited guests and forces of nature, turning the weekend into a test of marriage and friendships. Julia Davis. Juliette Lewis, Arturo Del Puerto, Ione Skye, Janicza Bravo, Bridget Everett and Brett Gelman also star. 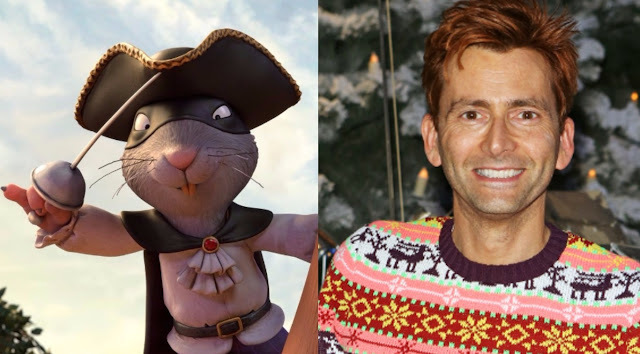 UK fans can get that festive feeling this evening as BBC Two airs David Tennant's 2012 family comedy Nativity 2 Danger In The Manger! this evening at 5.15pm. 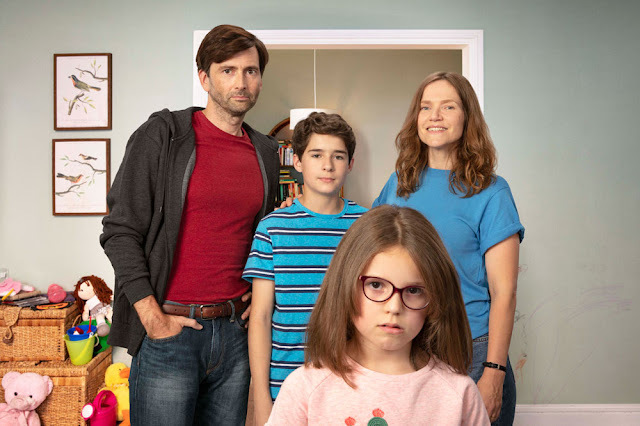 David Tennant stars as an anxious teacher who starts a new job at an under-achieving school and quickly finds himself struggling to cope with a wild classroom assistant, a group of under-performing kids and his own very pregnant wife. He soon becomes embroiled in a madcap plan to enter a National ‘Song for Christmas’ Competition and finds himself embarking on a disastrous road trip in search of the competition venue – the ‘Christmas Castle’. Lost in the wilderness with a class of small children, a baby and a donkey, he has to stand up, face his fears and try to lead them not only to safety, but victory. 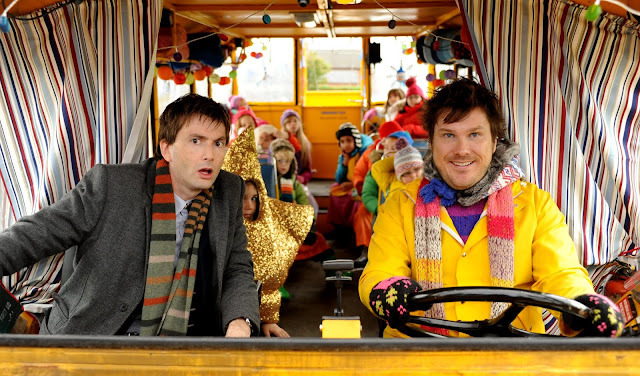 Nativity 2 is part action adventure, part musical and has all the comedy, warmth and heart that audiences love.